Trudie Lee picks deadhead flowers Thursday beneath a sign at the Monmouth Transfer Station. 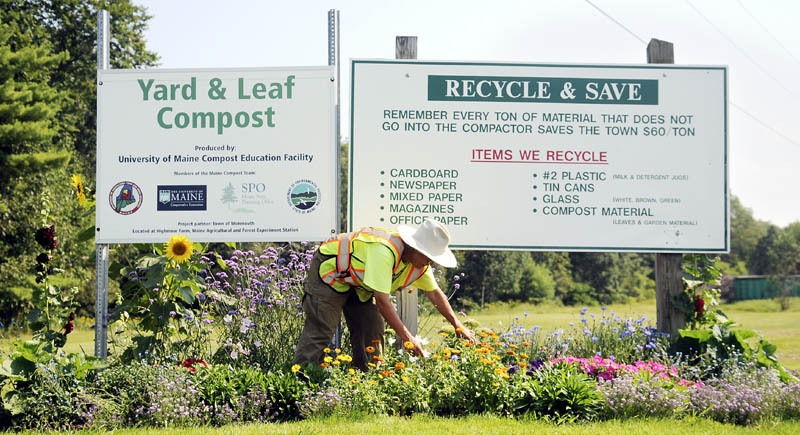 The part-time employee of the disposal and recycling site has cultivated garden beds around signs at the entrance and in beds at the station, according to Herb Whittier, who oversees the facility. “It’s the best-looking transfer station in the state,” he boasted.